Xerox ColorPrint SRA3 is a smooth, uncoated, high white paper ideal for digital and production colour laser printing. As well as giving superb colour reproduction Xerox ColorPrint SRA3 also gives great results when printing those important black and white documents or images, with pin sharp detail and halftones. 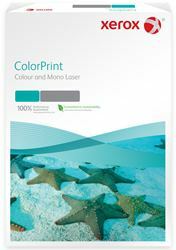 For great looking colour and mono prints in all your office printers.